← A differential list of one? What TLA (three letter acronym!) 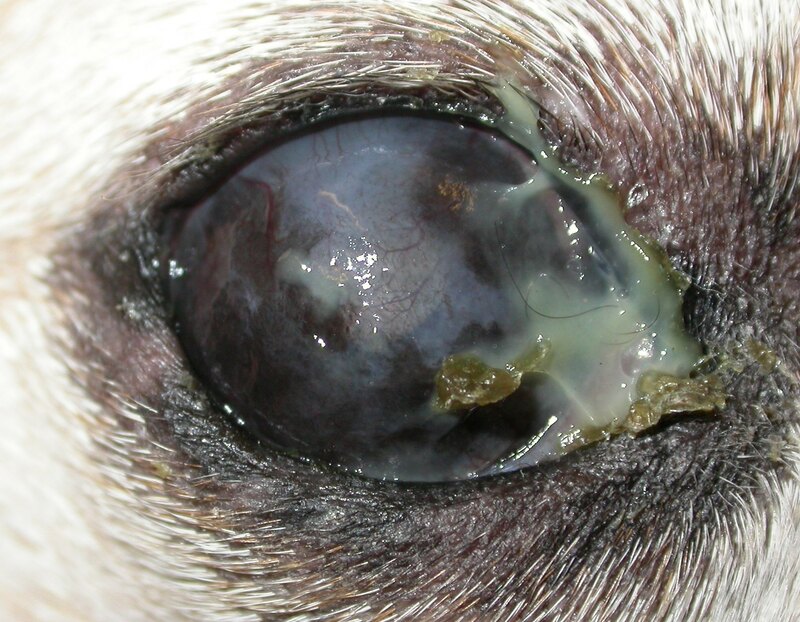 might best describe this dog’s eye condition? And what additional TLA would give you the diagnosis for sure?! Well this eye has keratoconjunctivitis sicca (KCS) for which the diagnostic test is a Schirmer tear test (STT) as you can see here. 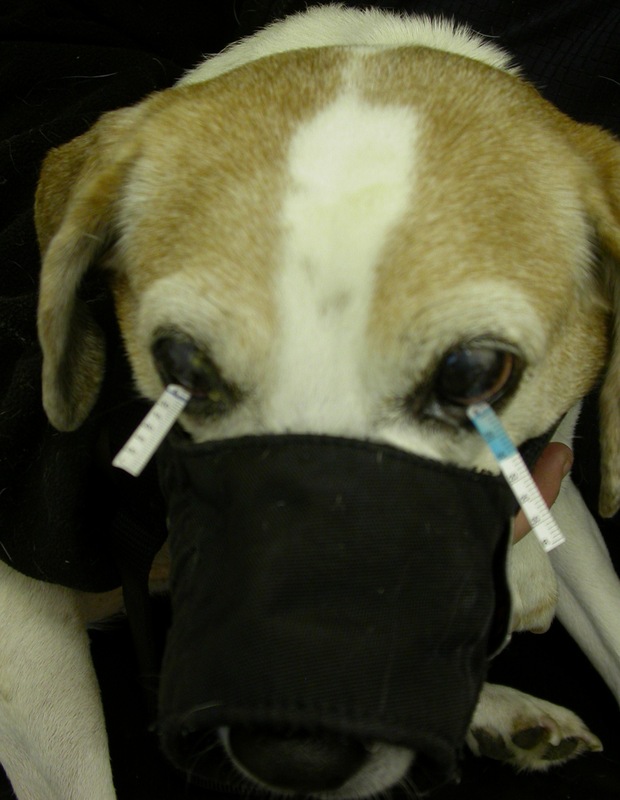 The fact that the dog is a Jack Russell Terrier (JRT) and an annoyed one at that, in a muzzle to protect my fingers, makes up the triad of TLAs! Now being serious for a moment, this case illustrates how much ophthalmology is pattern recognition. While you might think that the discharge indicates infection or that the keratitis indicates a disease based in the cornea, the whole image just cries out ‘tear deficiency’ to me, so I was not surprised that the STT was zero. Topical cyclosporine has not had any effect, so while we source topical tacrolimus, a tear replacement such as a carbomer or hyaluronic acid, is the next best thing. 4 Responses to A triad of TLAs! give advice to ( will.hickson@aol.com ) THANK YOU….